Are you looking for NO PREP morning meeting activities? Then download this digital literacy product and go! 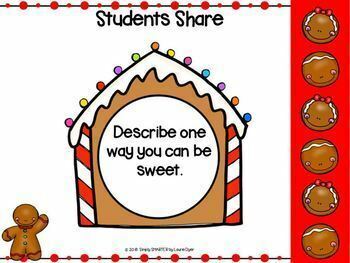 Enjoy this GOOGLE SLIDES compatible resource which is comprised of TWO HUNDRED FIVE CHRISTMAS themed DIFFERENTIATED MORNING MEETING slides with movable pieces and text boxes. Children will develop their literacy skills while using this resource in whole group lessons as you use this resource daily through the month to begin your language arts block of instruction. Eight slides are provided for you to use daily with your class, and there are five weeks of slides included in this resource. Repetition of the weekly activities fosters routine and builds confidence. Children will develop speaking and listening skills while sharing daily. They will practice reading classmates' names, identifying letters, and reading sight words. 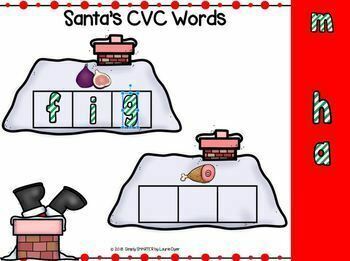 They also will engage in a variety of phonics skills activities. ALL YOU NEED TO DO IS MAKE A COPY OF THE GOOGLE SLIDES LINK FOUND IN THE RESOURCE AND SAVE THE LINK WITH A NEW NAME TO YOUR GOOGLE DRIVE. YOU WILL PROJECT THE GOOGLE SLIDES ONTO A WHITEBOARD TO USE WITH YOUR CLASS. YOU WILL EDIT THE PAGES AS NECESSARY TO MEET THE NEEDS OF YOUR CLASS. 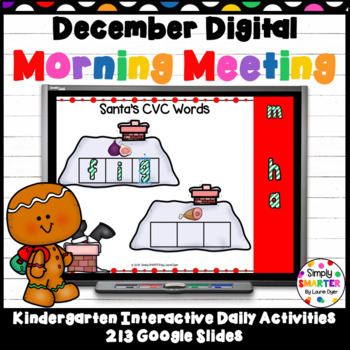 You must try my January Kindergarten Digital Morning Meeting SNEAK PEEK For GOOGLE SLIDES to get a one day sample of my monthly morning meeting. You will see how your morning meeting is instantly planned for the day. Give it a go with your class! Are you looking for a CRAZY good deal? 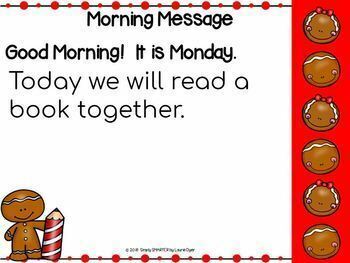 Then check out my Kindergarten Digital Morning Meetings For GOOGLE SLIDES Year Long Bundle, which includes this resource. The bundle is comprised of all of my monthly digital morning meetings for kindergarten for the entire year. You will save so much money by buying the bundle instead of buying the digital morning meeting resources individually! Who doesn't love saving a ton of money? If you enjoy this resource, you must check out my other RESOURCES FOR GOOGLE CLASSROOM. They are priced just right and offer educational and interactive fun for your students while being NO prep for you!